From M1 J24 follow A6 to Hathern, turn left onto A6006 and follow until you reach the traffic lights, (the Guesthouse is the large building in front of you) go straight over turn immediately left into the car park. From Loughborough take A60 towards Nottingham. 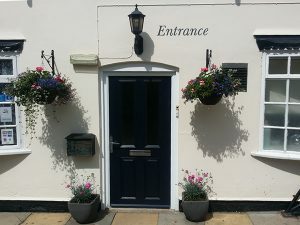 We are located 2 miles from Prestwold Hall, 1.7 miles from DNRC (Stanford Hall), 5 miles from Loughborough and the University, 11 miles from Nottingham. and the University.